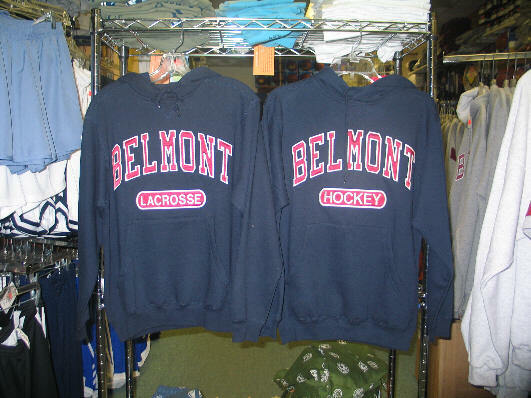 Come and get your hometown apparel at Champions, we have everything from sweatpants, sweatshirts, hats, T's, jackets and even flannel PJ's all with the "Belmont" logo on them. 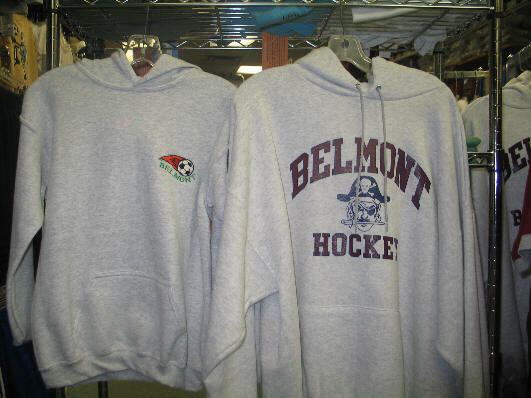 Need a Team order with "Belmont" embriodered or screened on? Come see us, we do all custom orders from 1 to 1,000 pieces.